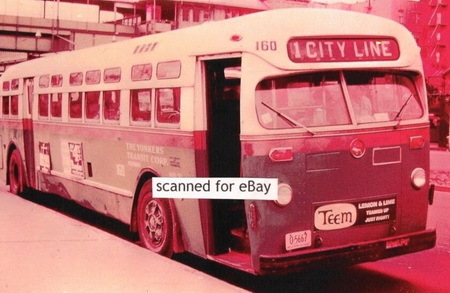 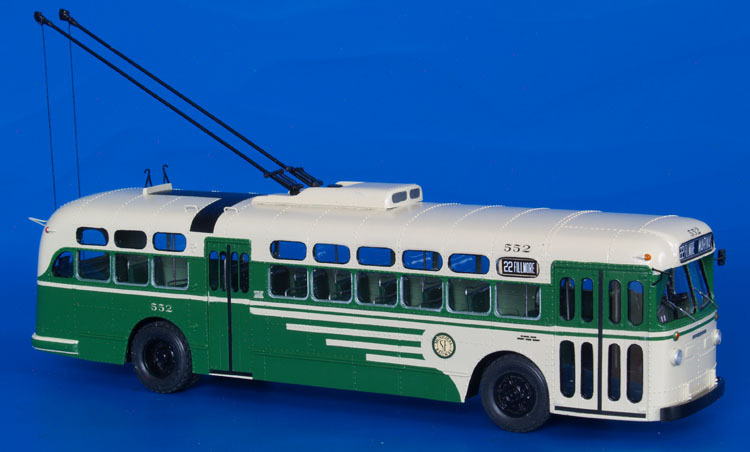 1948/49 Marmon-Herrington TC-44 Trolleybus (San Francisco Municipal Railway 550-569; 660-739 series). 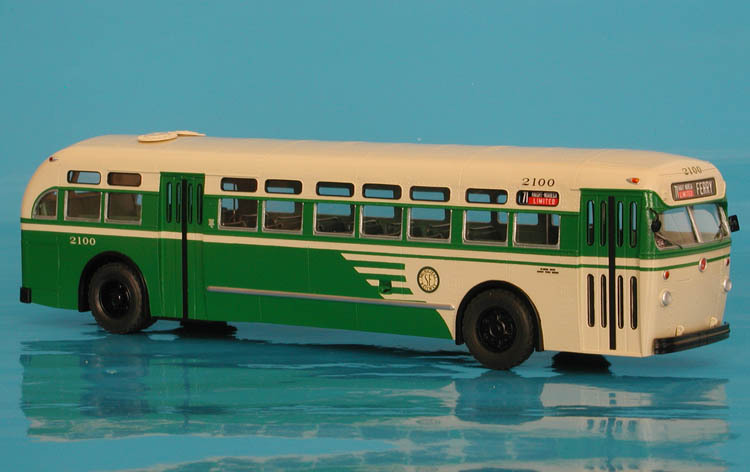 1948 San Francisco Municipal Railway St.Louis Car Co. 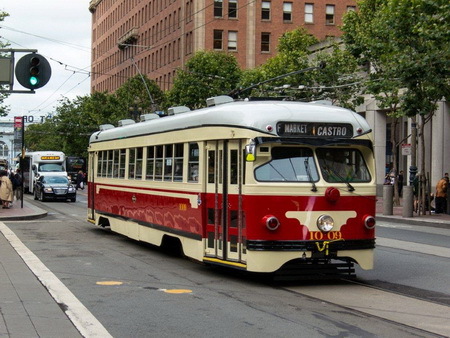 Type D PCC F-Line car 1009 in the Dallas Railway & Terminal Railway Company livery. 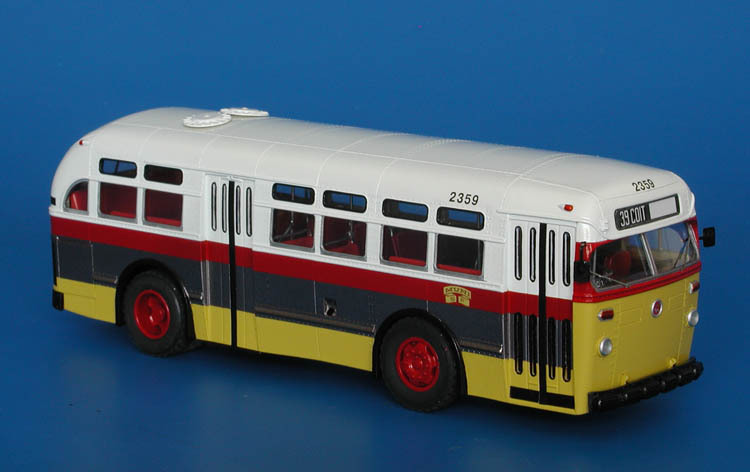 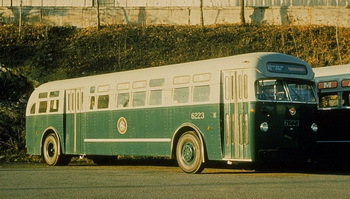 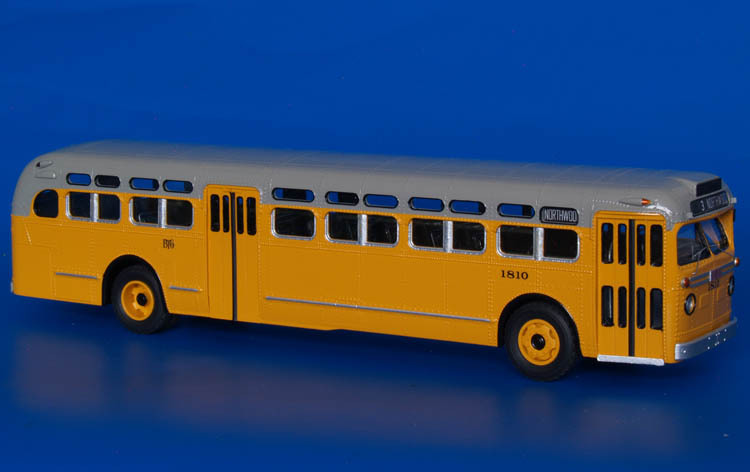 1953/54 GM TDH-5105 (Baltimore Transit Co. 1800-1843 series).